Indira Jaising, appearing for AAP government, said having "two captains of a ship" would lead to chaos. The Supreme Court is hearing pleas on who enjoys supremacy in governing the national capital. 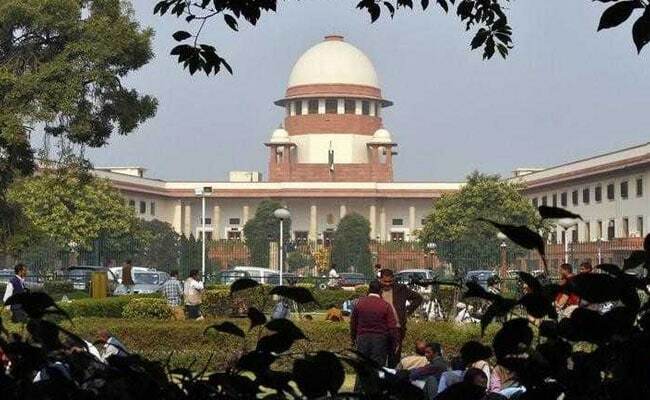 New Delhi: The Supreme Court today raised a question whether the constitutional scheme on division of executive powers between the Centre and the states can be made applicable to the union territory of Delhi. A five-judge Constitution bench headed by Chief Justice Dipak Misra, which is hearing pleas on who enjoys supremacy in governing the national capital, put the query after noting the submission of senior advocate Indira Jaising that the executive powers of Delhi should be ascertained in the light of the constitutional scheme providing a clear division of powers between states and the Centre. She said the court should not be guided by the nomenclature of Delhi as a Union Territory while interpreting Article 239AA and the executive powers of the Delhi government and there should be no "blurring of responsibilities" between the state and the Centre. She said this court, by way of necessary implication, will have to eventually deal with the executive powers of the Centre and the state under Article 239AA, the constitutional provision which deals with issues of Delhi and its powers. "It is impossible to have two captains of a ship... this will lead to chaos. You cannot have two authorities in single executive domain to say that 'I have the powers'," she said. During the day-long hearing, Advocate Jaising said the Centre has the power to enforce central laws on subjects mentioned in the Union and Concurrent lists of the Constitution and it cannot simply take over saying "you do not have the power". The bench said the issue was on a "narrow compass" as to what could happen in case of difference of opinion between the Lieutenant Governor and the Chief Minister and the council of ministers. Senior advocate Rajeev Dhavan, also appearing for the Arvind Kejriwal government, said the freedom struggle spoke about the concept of "responsible" government in place of "representative" one and the present issue pertained to democratic rights of 18.9 million people of Delhi, the fifth most populous city of the world. Unlike UTs like Puducherry, Delhi has been given powers by the Constitution and its powers are not a "gift from Parliament", he said. The arguments remained inconclusive and would resume tomorrow. Earlier, the Delhi government had accused the L-G of making a "mockery of democracy" and said that he was either taking decisions of an elected government or substituting them without having any power. Prior to this, the top court had said there cannot be day-to-day impediments by the LG in the elected government's functioning as the responsibilities conferred on him are "not absolute". It had also observed that the position of Delhi was different from other states and the elected government was under an obligation to apprise the LG about policy decisions. The court is hearing a batch of appeals filed by the AAP government challenging the Delhi High Court verdict holding that the LG was the administrative head of the national capital.